presidential candidate with less than a week before the election and the constant bickering between the republicans and democrats, it is about enough to make anyone go bat crazy. Of course if you watched the Chicago Cubs and the Cleveland Indians with the game last night, that was a nail biter in itself. Plus the rain delay just made the waiting near impossible. Friends on facebook were mentioning they were eating chocolate to help calm them down. 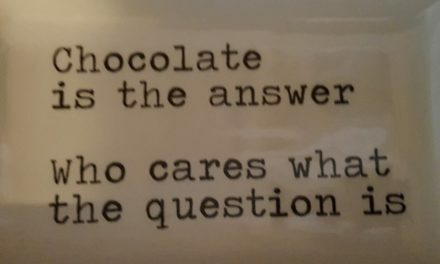 It was funny, because that is exactly what I do when I need to calm down, I enjoy a piece of healthy dark chocolate. When things happen beyond our control, that can often cause serious stress. Even when my brother died unexpectedly, chocolate was my go to food because I know that is has calmed me in the past. As I am learning, we can’t control everything that happens in our lives. Sometimes things happen that are beyond our control. It is nice to have something that is calming. We all know about eating comfort foods when we are stressed, well Healthy Chocolate is about the same. hey are diabetic friendly, gluten free, vegetarian and low in calories. One power square is just 33 calories. The recommended minimum amount to eat daily is 3 pieces spaced out morning, mid day and evening. This is because these chocolates are high in antioxidants and flavanols. (Just like fruits and vegetables) In fact, these Beyond Chocolates have a very high ORAC6 score. Check them out for yourself! 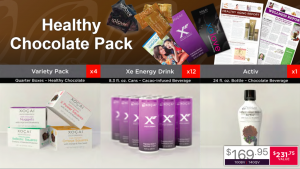 Most people order the Healthy Chocolate Value pack because you get so much free product and free shipping! We are Three Sons Marketing LLC, and we are here to spread the word about the Healthiest Chocolate in the World. 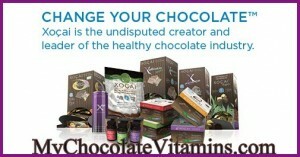 Call us at 941-216-5727 or visit us at MYCHOCOLATEVITAMINS.COM . NextI Am Blessed To Have Found Healthy Dark Chocolate And It’s Benefits Are Shocking!